With markets concerned over potential supply disruptions in Libya, prices got a sizable boost yesterday. This morning, prices are cooling off a bit. Crude oil is currently trading at $63.89, down 51 cents from Monday’s close. Fuel prices are mixed today. Diesel prices are currently trading at $2.0433, down 1.4 cents. Gasoline prices are at $1.9961, bucking the trend by trading 0.8 cents higher. All eyes remain on Libya, where militia attacks on the country’s capital have put key oil infrastructure in jeopardy, potentially impacting up to 400 kbpd of output. At a time when markets are already roughly balanced, an outage would tip markets towards undersupply, pushing prices higher. 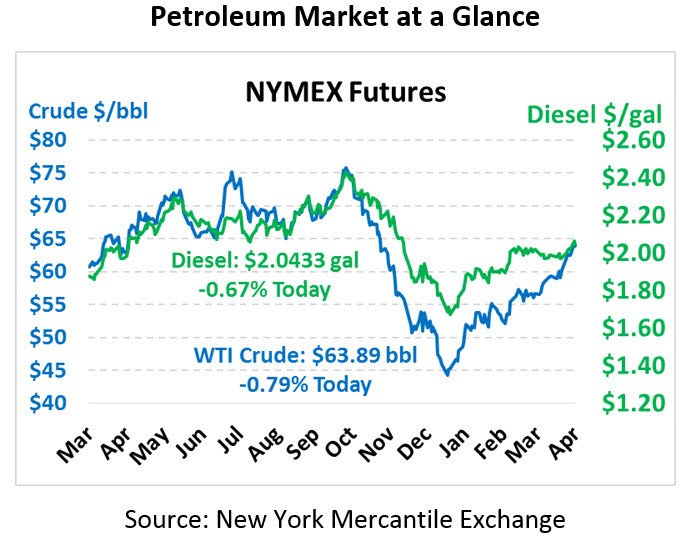 Prices have risen $3/bbl in anticipation of an outage, though so far no disruption has materialized. While markets are looking towards Libya, the prominent think tank Brookings Institute is noting an increased risk of a global economic recession. While the past few years have brought an “uneven recovery,” markets appear to be shifting towards a “synchronized slowdown.” In the US, financial conditions have led the Federal Reserve to slow its monetary tightening policy. China shows weakened growth prospects on numerous fronts. In Europe, slowed German growth and Brexit both threaten further expansion. Developing economies will suffer from slower exports as advanced economies slow, leading to reduced trade flows between countries. 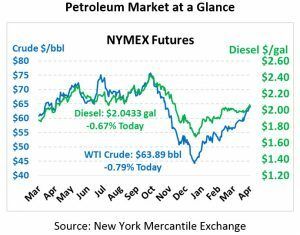 Overall, this economic weakening will cause oil demand to taper – the only question at this point appears to be how much demand will fall, and how quickly.